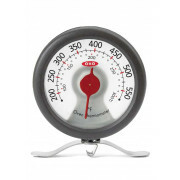 Bake or roast anything with OXO’s Oven Thermometer. 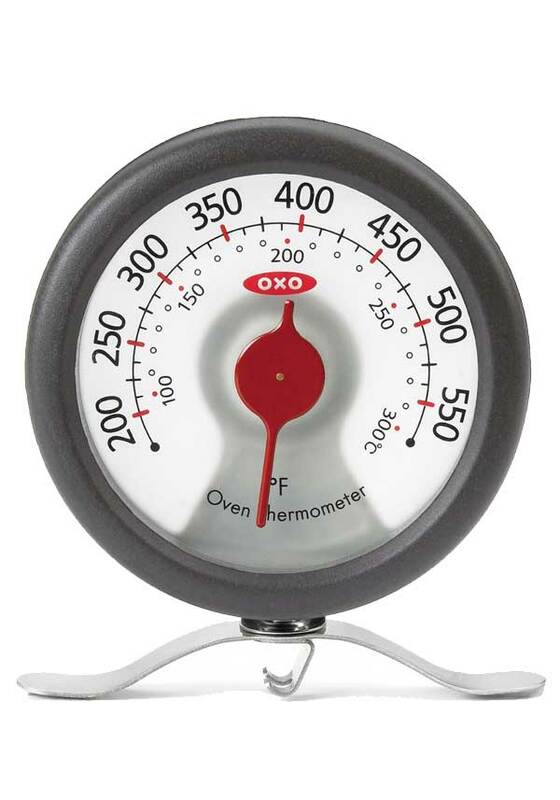 A frosted glass back panel allows the light in the back of the oven to shine through the Thermometer, lighting up the large numbers and making them easy to read. 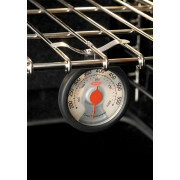 The easy-to-use clip lets the Thermometer hang from any oven rack or stand on top of the rack.